The easiest way to determine your ring size is to measure the inside diameter (in mm) of an existing ring that fits the desired finger. Use the chart below to choose your ring size. 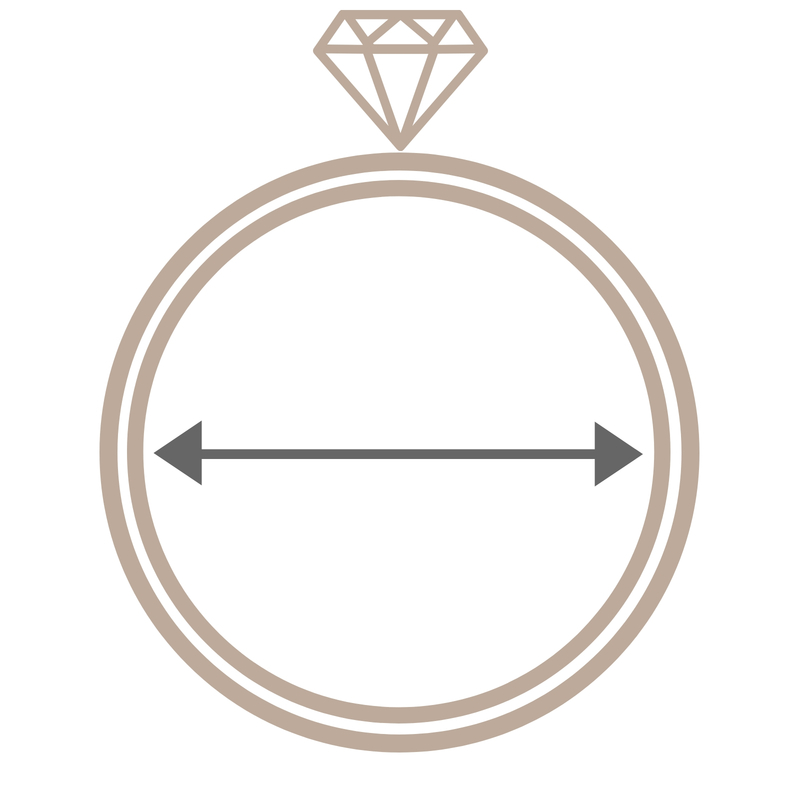 Rings cannot be exchanged due to an incorrectly ordered size, so it is very important that you carefully select the perfect ring size.